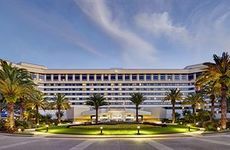 Find Hilton Orlando Lake Buena Vista - Disney Springs® Area deals, discounts and special offers. The 23 acre resort overlooks downtown Disney and features a gym, business center, and 2 outdoor pools. Stay in Orlando + Great Low Rates! The Grand Floridian, part of Walt Disney World, is a smoke-free Victorian-style hotel that has a convention center. Part of Walt Disney World, the Animal Kington Lodge is set on a 33-acre wildlife preserve, with animals freely roaming. With a Rocky Mountain theme, rooms at the Disney Wilderness lodge have balconies or patios, and for-fee internet. This Disney hotel has a spa, 17 restaurants, 2 health clubs and free transportation to all Disney Parks. Offering studios and villas, the Disney Saratoga Springs has a spa, pool, tennis and community hall. With a Caribbean theme, this 5-island Disney resort has waterslides, children's recreation and lakefront accommodations. The South Seas themed Disney resort has a spa, rooms with Hawaiian décor, and lush gardens. Set as a 1940's beach and boardwalk town, the Boardwalk has lake front rooms and cottages with patios and gardens. Disney Beach Club is a 19th century New England theme, with 2 pools, waterslides, and a white-sand beach. Set back in the 1880's Nantucket, the Disney Yacht Club offers rooms on Stormalong Bay or Crescent Lake. The Disney Contemporary Resort is a non-themed, multi-story building adjacent to Magic Kingdom. This smoke-free hotel offers complimentary Disney transportation, meeting space, and a fitness center. This smoke-free resort highlights classic Disney characters with theme guest rooms, pools and recreation areas. This Sheraton is surrounded by Disney World resort, and offers pools, tennis, art gallery and on-site spa. Designed for sports fans, the Disney All Stars resort rooms are decorated with sports equipment.